Mix refried beans, cheese, ranch mix, and sour cream in a large pot. Heat the mixture over medium heat, stir until well blended. Serve with carrots, peppers, whole wheat crackers or baked tortilla strips. Bring a pot of water to a boil and add ravioli. Cook according to package directions. Line a baking sheet with foil and spray with non-stick cooking oil. Put milk in a shallow bowl. Put breadcrumbs and seasonings in a 2nd shallow bowl. 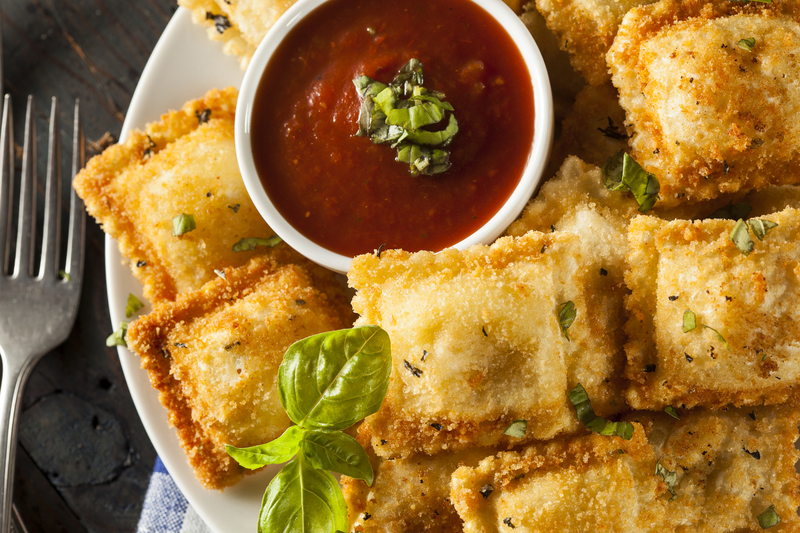 Dip each ravioli in milk and then in breadcrumbs. (you can do multiple at one time using a slotted spoon. Bake for 10-15 minutes or until golden brown. Serve with warmed marinara sauce for dipping.